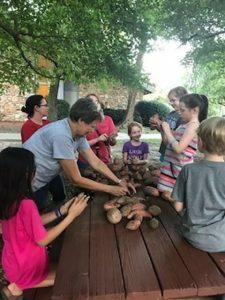 Our kids harvested our sweet potatoes this week. 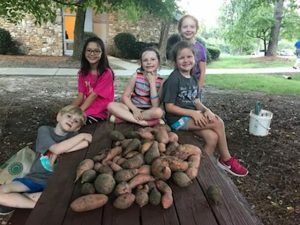 The yield was over 40 pounds!!! 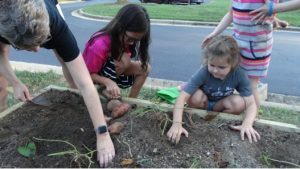 Just when we thought we had them all, a kid would say, “I found another one!” What fun it was to dig with our hands. They brushed them off and bagged them up. After curing, these will be donated to North Raleigh Ministries. 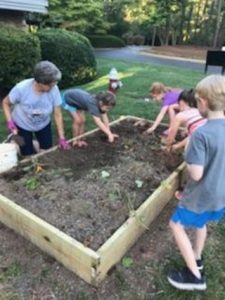 We will finish planting our cool season veggies this week when we plant collards. Stop by and see the garden. You’ll be proud of what the kids are doing.